 Mitsch, W.J. and Gossilink, J.G. (2000) Wetlands. 3rd Edition, John Wiley & Sons Inc., New York, 261-305. Trumbore, S.E. and Czimczik, C.I. (2008) Geology. An Uncertain Future for Soil Carbon. Science, 321, 1455-1456. Chung, C.H. 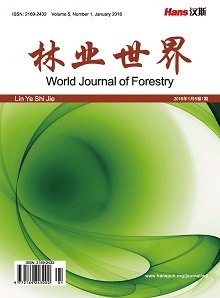 (2006) Thirty Years of Ecological Engineering with Spartina Plantations in China. Ecological Engineering, 2, 49-57. Christensen, B.T. (1992) Physical Fractionation of Soil and Organic Matter in Primary Particle Size and Density Separates. Advances in Soil Science, 20, 2-90. 胡慧蓉, 马焕成, 罗承德, 等. 森林土壤有机碳分组及其测定方法[J]. 土壤通报, 2010, 41(4): 1018-1024. 吴建国, 张小全, 王彦辉, 等. 土地利用变化对土壤物理组分中有机碳分配的影响[J]. 林业科学, 2002, 38(4): 19-29. Christensen, B.T. (2001) Physical Fractionation of Soil and Structural and Functional Complexity in Organic Matter Turnover. European Journal of Soil Science, 52, 345-353. 武天云, Schoenau, J.J., 李凤民, 等. 土壤有机质概念和分组技术研究进展[J]. 应用生态学报, 2004, 15(4): 717-722. Anderson, D.W., Saggar, S., Bettany, J.R., et al. (1981) Particle-Size Fractions and Their Use in Studies of Soil Organic Matter I. The Nature and Distribution of Forms of Carbon, Nitrogen, and Sulfur. Soil Science Society of America Journal, 45, 767-772. Christensen, B.T. and Sorensen, L.H. (1985) The Distribution of Native and Labeled Carbon between Soil Particle-Size Fractions Isolated from Long-Term Incubation Experiments. European Journal of Soil Science, 36, 219-229. 中科院南京土壤研究所. 土壤理化分析[M]. 上海: 上海科学技术出版社, 1978: 136-142. Rovira, P. and Vallejo, V.R. (2002) Labile and Recalcitrant Pools of Carbon and Nitrogen in Organic Matter Decomposing at Different Depths in Soil: An Acid Hydrolysis Approach. Geoderma, 107, 109-141. Rovira, P. and Vallejo, V.R. (2000) Examination of Thermal and Acid Hydrolysis Procedures in Characterization of Soil Organic Matter. Communications in Soil Science and Plant Analysis, 31, 81-100. 周脚根, 黄道友. 土壤微生物量碳周转分析方法及其影响因素[J]. 中国生态农业学报, 2006, 14(2): 131-134. Golchin, A., Oades, J.M., Skjemstad, J.O., et al. (1994) Study of Free and Occluded Particulate Organic Matter in soils by Solid State 13C CP/MAS NMR Spectroscopy and Scanning Electron Microscopy. Australian Journal of Soil Research, 32, 285-309. Roscoe, R., Buurman, P., Velthorst, E.J., et al. (2001) Soil Organic Matter Dynamics in Density and Particle Size Fractions as Revealed by the 13C/12C Isotopic Ratio in Cerrado’soxisol. Geoderma, 104, 185-202. 张海燕, 肖延华, 张旭东, 等. 土壤微生物量作为土壤肥力指标的探讨[J]. 土壤通报, 2006, 37(3): 422-425. Belesdent, J., Mariotti, A. and Bisgontier, D. (1990) Effect of Tillage on Soil Organic Carbon Mineralization Estimated from 13C Abundance in Maize Fields. Journal of Soil Science, 41, 587-596. 王俊美, 欧阳捷, 尚倩, 等. 土壤有机质研究中的核磁共振技术[J]. 波普学杂志, 2008, 25(2): 287-295. 李国栋, 刘国群, 庄舜尧, 等. 不同种植年限下雷竹林土壤的有机质转化[J]. 土壤通报, 2010, 41(4): 845-849. 杭子清, 王国祥, 刘金娥, 等. 互花米草盐沼土壤有机碳库组分及结构特征[J]. 生态学报, 2014, 34(15): 4175-4182. 邵思远, 杨桠楠, 张培成. 核磁共振在确定链状化合物相对构型中的应用[J]. 国际药学研究杂志, 2015, 42(6): 699-705. Coifuentes, A.J., Ferguson, R.L. and Thayer, G.W. (1983) Environmental Gradients and Benthic Macroinvertebrate Distributions in a Shallow North Carolina Estuary. Bulletin of Marine Science, 33, 282-295. Bordovskiy, O.K. (1965) Accumulation and Transformation of Organic Substances in Marine Sediments. Marine Geology, 3, 113-114. Yamamuro, M. (2000) Chemical Tracers of Sediment Organic Matter Origins in Two Coastal Lagoons. Journal of Marine Systems, 26, 127-134. 毛志刚, 王国祥, 刘金娥, 等. 盐城海滨湿地盐沼植被对土壤碳氮分布特征的影响[J]. 应用生态学报, 2009, 20(2): 293-297. 张龙军, 宫萍, 张向上, 等. 河口有机碳研究综述[J]. 中国海洋大学学报, 2005, 35(5): 737-744. Grimalt, J.O. and Olive, J. (1993) Source Input Elucidation in Aquatic Systems by Factor and Principal Component Analysis of Molecular Marker Data. Analytica Chimica Acta, 278, 159-176. Quirk, M.M., Wardroper, A.M.K., Wheatley, R.E., et al. (1984) Extended Humanoids in Peat Environments. Chemical Geology, 42, 25-43. Hgberg, P. and Ekblad, A. (1996) Substrate-Induced Respiration Measured in Situ in a C3-Plant Ecosystem Using Additions of C4 Sucrose. Soil Biology and Biochemistry, 28, 1131-1138. Vitorello, A., Cerri, C.C., Andreux, F., et al. (1989) Organic Matter and Natural Carbon δ13C Distribution in Forested and Cultivated Oxisols. Soil Science Society American Journal, 53, 773-778. Rao, I.M., Ayarza, M.A. and Thomas, R.J. (1994) The Use of Carbon Isotope Ratios to Evaluate Legume Contribution to Soil Enhancement in Tropical Pastures. Plant and Soil, 162, 177-182. Cadisch, G., Imhof, H., Urquiaga, S., et al. (1996) Carbon Turnover (δ13C) and Nitrogen Mineralization Potential of Particulate Light Soil Organic Matter after Rainforest Clearing. Soil Biology & Biochemistry, 28, 1555-1567. 张晋京, 窦森. 土壤有机质研究中的δ13C方法[J]. 土壤通报, 1999, 30(5): 235-238. Goni, M.A. and Thomas, K.A. (2000) Sources and Transformation of Organic Matter in Surface Soils and Sediments from a Tidal Estuary (North Inlet, South Carolina, USA). Estuaries, 23, 548-564. Tissot, B. and Welte, D.H. (1984) Petroleum Formation and Occurrence. Springer-Verlag, Berlin, 643-644. Cranwell, P.A., Eglinton, G. and Robinson, N. (1987) Lipids of Aquatic Organisms as Potential Contributors to Lacustrine Sediments-II. Organic Geochemistry, 11, 513-527. Dai, J. and Sun, M.Y. (2007) Organic Matter Sources and Their Use by Bacteria in the Sediments of the Altamaha Estuary during High and Low Discharge Periods. Organic Geochemistry, 38, 1-15. 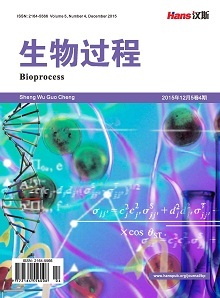 Cheng, X.L., Luo, Y.Q., Chen, J.Q., et al. (2006) Short-Term C4 Plant Spartina alterniflora Invasions Change the Soil Carbon in C3 Plant-Dominated Tidal Wetlands on a Growing Estuarine Island. Soil Biology & Biochemistry, 38, 3380-3386. Liu, J.E., Han, R.M., Su, H.R., et al. 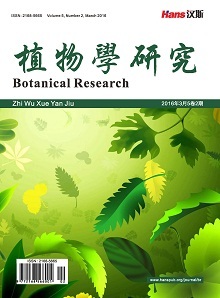 (2017) Effects of Exotic Spartina alterniflora on Vertical Soil Organic Carbon Distribution and Storage Amount in Coastal Salt Marshes in Jiangsu, China. Ecological Engineering, 106, 132-139. 郑艳红, 程鹏, 周卫建. 正构烷烃及单体碳同位素的古植被与古气候意义[J]. 海洋地质与第四纪地质, 2008, 25(1): 99-104. Kuypers, M.M.M., Pancost, R.D. and Sinninghe, D.J.S. (1999) A Large and Abrupt Fall in Atmospheric CO2 Concentration during Cretaceous Times. Nature, 399, 342-345. Yamada, K. and Ishiwatari, R. (1999) Carbon Isotopic Compositions of Long-Chain N-Alkanes in the Japan Sea Sediments: Implications for Paleo Environmental Changes over the Past 85 kyr. Organic Geochemistry, 30, 367-377. Rieley, G., Collister, J.W., Stern, B., et al. (1993) Gas Chromatogra-phy-Isotope Ratio Mass Spectrometry of Leaf Wax N-Alkalines from Plants of Differing Carbon Dioxide Metabolisms. Rapid Communications in Mass Spectrometry, 7, 488-491.